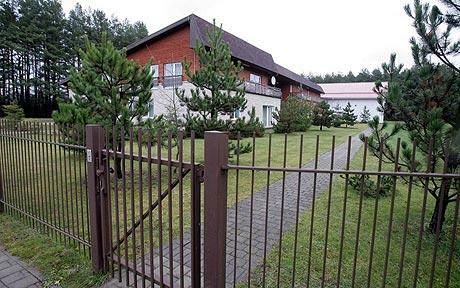 A former horse riding school in Lithuania was turned into a secret prison for al-Qaeda operatives. It had been suggested for years that the CIA operated secret prisons for the illegal torture of suspected enemy agents. In investigations by ABC News, Lithuanian government officials and unnamed former intelligence operatives, the CIA built the secret jail in 2004 and used it for more than a year, flying in at least eight suspected al-Qaeda terrorists from Afghanistan. Project MK-ULTRA was the code name for a covert CIA mind-control and chemical interrogation research program, run by the Office of Scientific Intelligence. This official U.S. government program began in the early 1950s, building on the Nazi mind control programs and continuing at least through the late 1960s, that used United States citizens as its test subjects. The published evidence indicates that Project MK-ULTRA involved the surreptitious use of many types of drugs, as well as other methods, to manipulate individual mental states and to alter brain function. Project MK-ULTRA was first brought to wide public attention in 1975 by the U.S. Congress, through investigations by the Church Committee, and by a presidential commission known as the Rockefeller Commission. Investigative efforts were hampered by the fact that CIA Director Richard Helms ordered all MK-ULTRA files destroyed in 1973. The Church Committee and Rockefeller Commission investigations relied on the sworn testimony of direct participants and on the relatively small number of documents that survived Helms’ destruction order. The second manual, “Human Resource Exploitation Training Manual – 1983,” was used in at least seven U.S. training courses conducted in Latin American countries, including Honduras, between 1982 and 1987. According to a declassified 1989 report prepared for the Senate intelligence committee, the 1983 manual was developed from notes of a CIA interrogation course in Honduras. Both manuals deal exclusively with interrogation. Both manuals have an entire chapter devoted to “coercive techniques.” These manuals recommend arresting suspects early in the morning by surprise, blindfolding them, and stripping them naked. Suspects should be held incommunicado and should be deprived of any kind of normal routine in eating and sleeping. Interrogation rooms should be windowless, soundproof, dark and without toilets. The manuals advise that torture techniques can backfire and that the threat of pain is often more effective than pain itself. The manuals describe coercive techniques to be used “to induce psychological regression in the subject by bringing a superior outside force to bear on his will to resist.” These techniques include prolonged constraint, prolonged exertion, extremes of heat, cold, or moisture, deprivation of food or sleep, disrupting routines, solitary confinement, threats of pain, deprivation of sensory stimuli, hypnosis, and use of drugs or placebos. Craig Murray, the rector of the University of Dundee in Scotland and until 2004 the UK’s ambassador to Uzbekistan, said the CIA not only relied on confessions gleaned through extreme torture, it sent terror war suspects to Uzbekistan as part of its extraordinary rendition program. Human rights groups have long been raising the alarm about the legal system in Uzbekistan. In 2007, Human Rights Watch declared that torture is “endemic” to the country’s justice system. Murray said he only realized after his stint as ambassador that the CIA was sending people to be tortured in Uzbekistan, country he describes as a “totalitarian” state that has never moved on from its communist era, when it was a part of the Soviet Union. “I was absolutely stunned — it changed my whole world view in an instant — to be told that London knew [the intelligence] coming from torture, that it was not illegal because our legal advisers had decided that under the United Nations convention against torture, it is not illegal to obtain or use intelligence gained from torture as long as we didn’t do the torture ourselves,” Murray said.